Even between relatively flat surfaces, interface pressure distribution is often not uniform and includes localized areas of peak pressure. 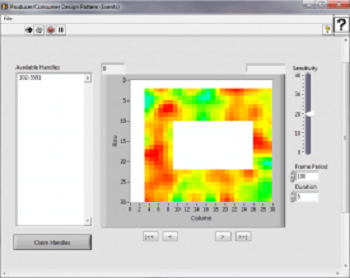 Pressure mapping technology allows design engineers to gain insights into areas that may affect design and quality. 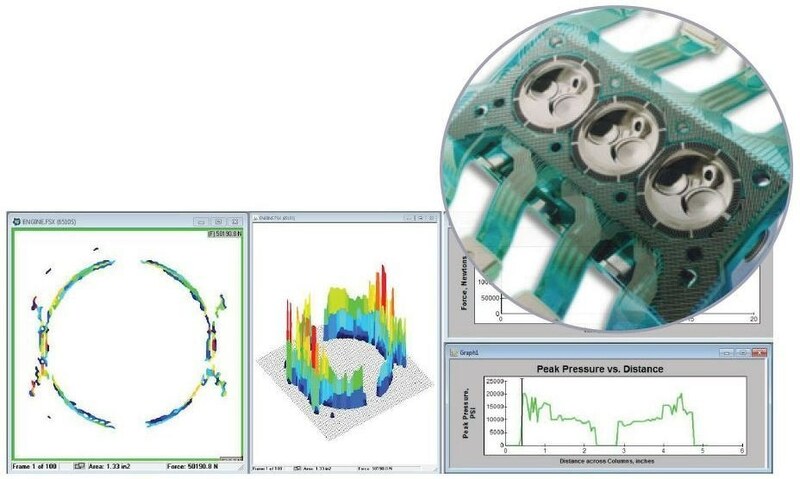 There are three central components that contemporary pressure mapping systems need: sensors, scanning electronics, and software. These three components enable the delivery of real-time, actionable data in ways other methods cannot. Compressive pressure loads are transformed by sensors, to the point where a change in resistance occurs. Analog data from the sensor is collected and converted into a digital signal via the scanning electronics. Real-time activity of the sensor area is displayed by the software. 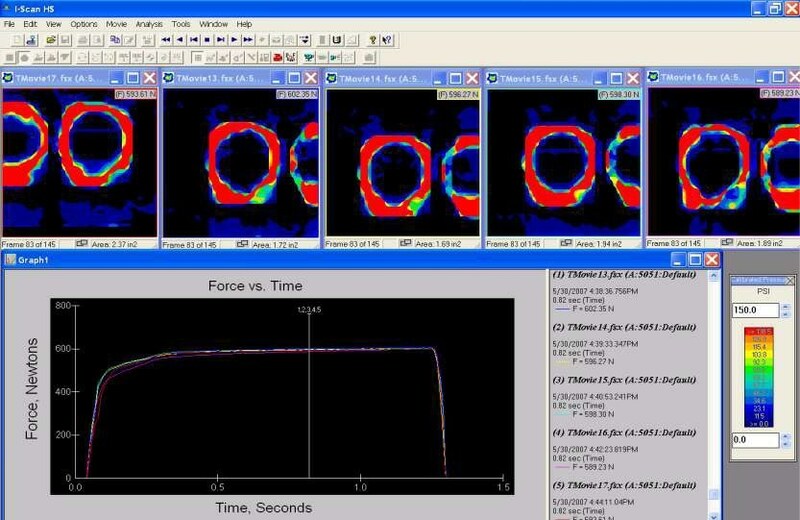 This allows the user to see force, pressure, contact area, and timing data. 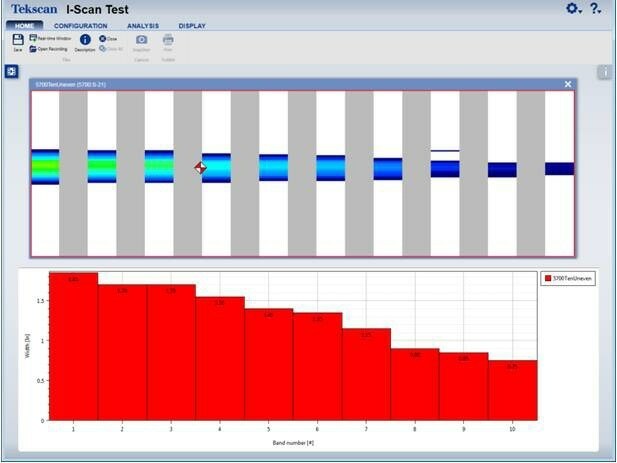 Engineers can assess any problem that may have arisen during the process thanks to the real-time feedback provided by the pressure mapping system. Using this, problems can be amended promptly, saving the company from downtime, which can be costly depending on the run schedule and product. 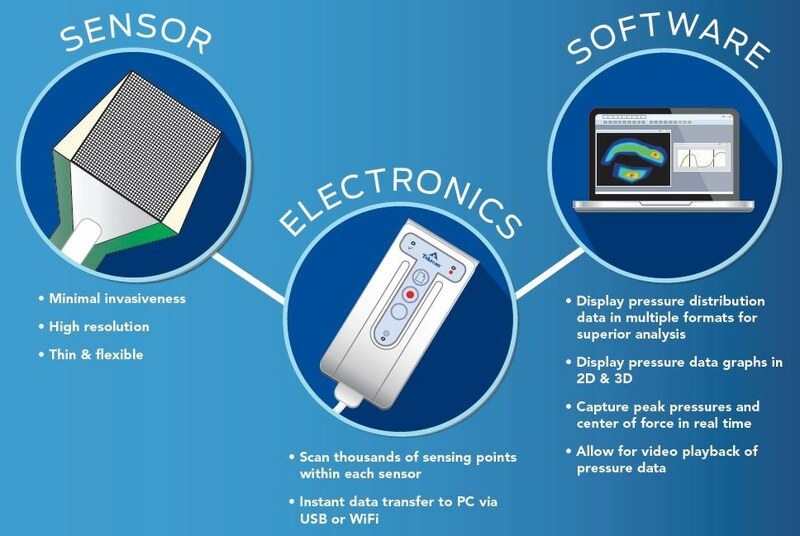 A pressure mapping system provides users with a customized interface, based on the preferences of the user. Once setup specifications have been established during initial testing, a streamlined process is put in place that allows for a quick and accurate setup before a run. Research & Design and Test & Measurement often use pressure mapping systems. 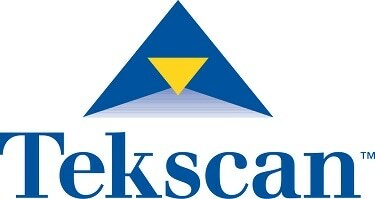 Verifying and improving the repeatability of the machine process can be done with an initial investment in Tekscan’s I-Scan™ system. This provides insight into what the setup of the machine should be to achieve optimal performance. Used by field service teams, I-Scan systems make it possible to provide customers with guaranteed setup that is backed up by quality data. Investing in the machine’s integration within the system enables proper setup, and results in higher customer confidence. Customers invest in a valuable product, and therefore, the credibility of the manufacturer rises. Integrating pressure measurement technology provides insight into what could not be seen before. Providing the customer with the best possible design is the main goal of a machine designer. This means that each piece of the machine needs to function effectively for a given application. Pressure mapping technology guarantees proper setup and provides both the designer and the user with actionable insight, in real time. 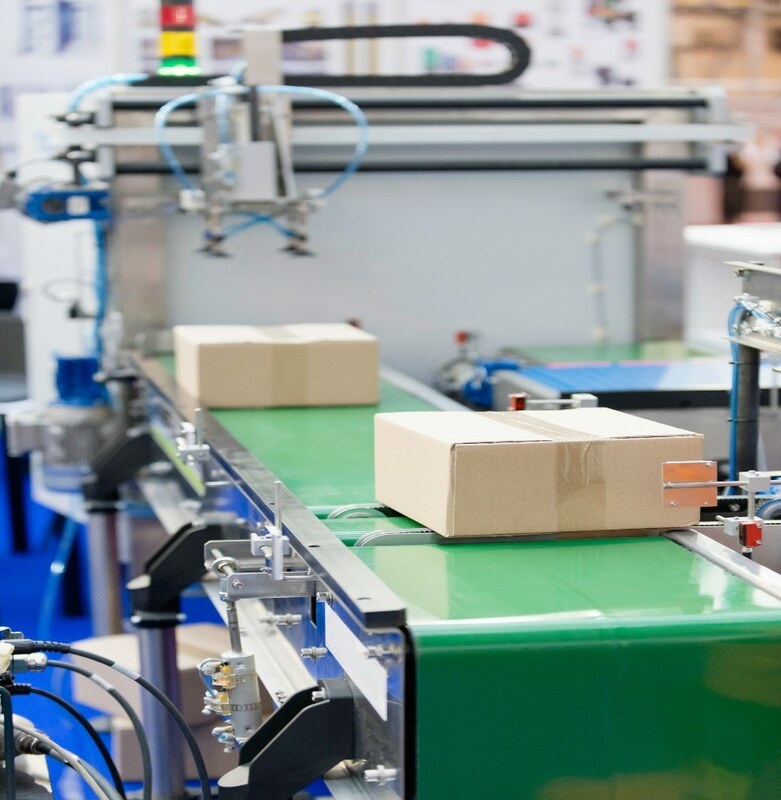 This technology transforms a modern machine into an innovative one, adding value and increasing the level of trust between the manufacturer and the customer. This innovative add-on helps to strengthen OEM’s credibility amongst their customers by providing a machine with a competitive edge. 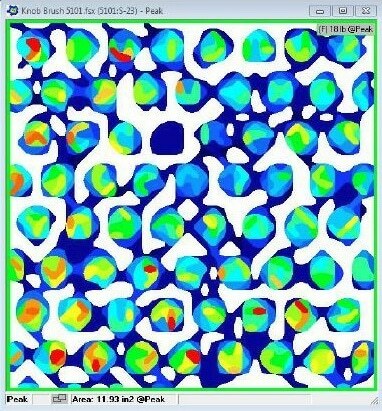 Pressure mapping technology is an ideal method for measuring pressure distribution in a machine where two surfaces meet. This is especially common in industries such as those listed below. The process is more controlled and of a higher quality when integrated sensor technology software is utilized - more data and insight equals a better, more streamlined process. 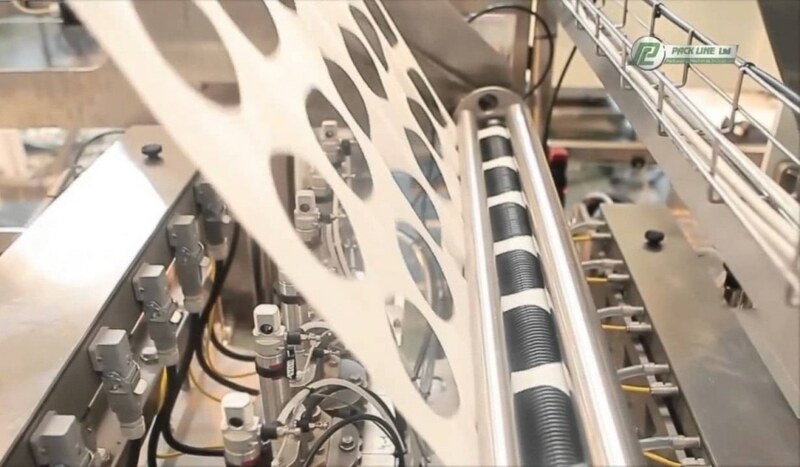 Packaging contact lenses requires a machine that can create a uniform seal. Bonding thermoplastics through the use of heat and applied force is called ultrasonic welding. This process is relied upon during the sealing process and is very important, as damaging the seal leads to a leak of saline solution, which ultimately results in dried up contacts. Non-planar machine parts usually cause misalignment and uneven pressure distribution, which cause an uneven seal. A machine designed with interface pressure measurement technology can ensure that the alignment is proper, thus eliminating the issues above. A designer with insight into seal pressure distribution can design a machine with a consistent setup that produces a proper seal. This technology provides insight that the user can access (for example, whether the right amount of pressure is being applied) to create a quality product. This insight helps to improve yields and reduce waste, providing machine builders with a machine that can guarantee alignment and quality. Seal inspection is crucial for the food packaging industry, where maintaining high standards is heavily required. These high standards are required to protect customers from tampering and/or receiving a damaged product. As mentioned, a proper seal is important for ensuring a safe, top-quality product. 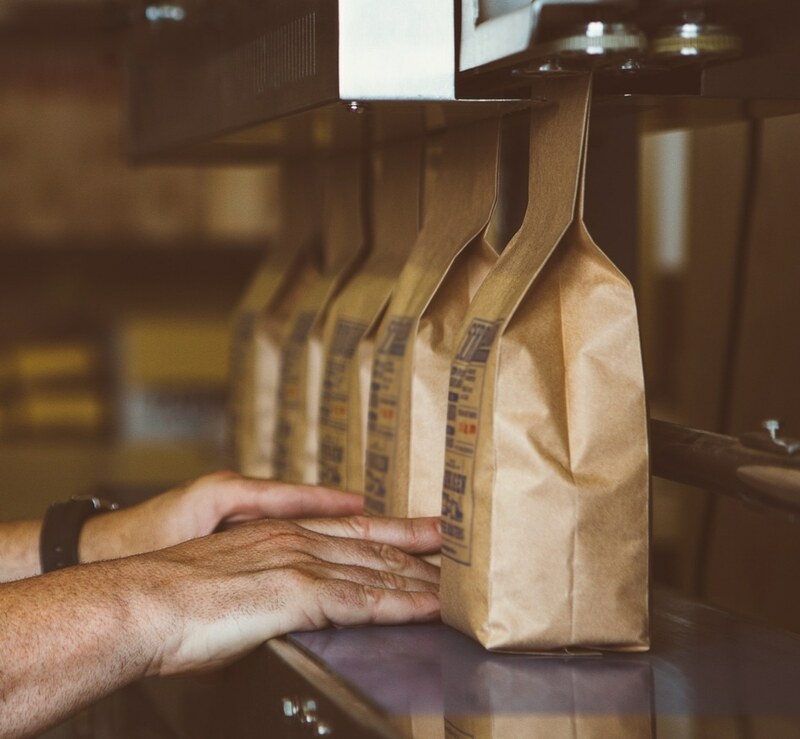 Two parts of a package can be sealed with sealing bars in a high-temperature environment. A proper seal can be achieved by machine designers choosing to embed pressure mapping technology into their machine. The technology can be further integrated into software that is used to streamline the process, creating a comprehensive yet simple user experience. This application requires high-temperature sensors, which allow the user to take pressure measurements without having to wait for the machine to cool down. The integration of this measurement technology allows for less downtime and a better controlled process. Nowadays, most of the electronic assembly process is done by robots. 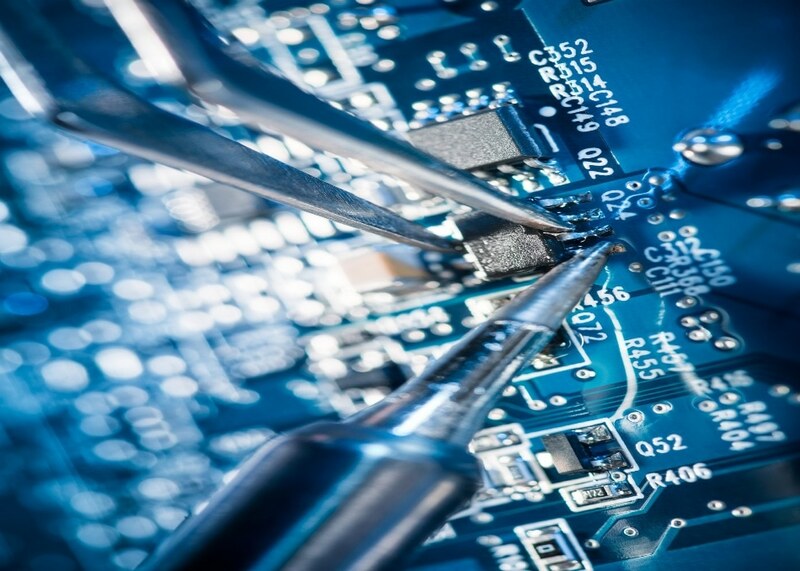 They have the task of carefully picking up delicate components and positioning them on a circuit board. This process requires the proper application of pressure, along with highly precise placement. To verify that the robotic elements and boards are interfacing properly, pressure measurement technology is embedded within the assembly machine. This technology verifies that interfacing occurs with an appropriate amount of force. This insight helps prevent both equipment and product damage that can be extremely costly. 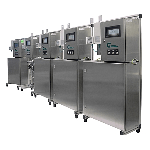 Integrating high-resolution pressure sensors, electronics, and customized software creates a seamless procedure for this high precision process. Time is money in the printing press. Therefore, roll misalignment is a problem that can incur hefty production costs. 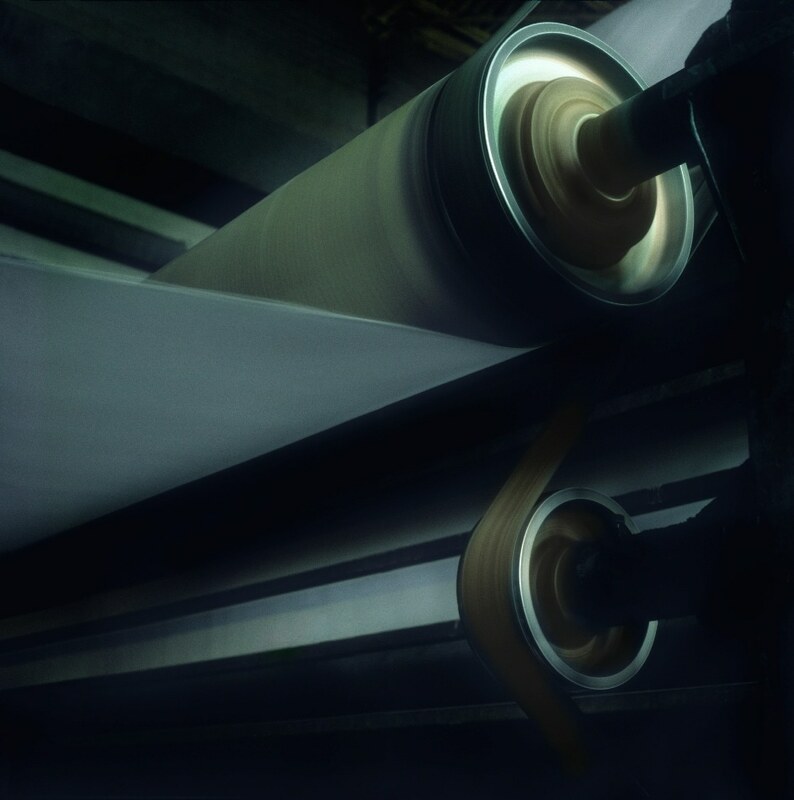 As little as five minutes of run time on rolls that are misaligned can cost thousands of dollars in damaged product. A line with easily actionable data can be attained using a production line integrated with pressure mapping technology. The integrated software alerts the user to any issues in the nip and roll and suggests possible ways to fix them. This feedback is clear and directional, allowing for quick and proper machine setup before or after a run. It is also possible for the user to evaluate crowning, diameter variations, and deflections using this actionable data. A system integrated with this technology allows for reduced machine downtime, thus increasing yields, reducing waste, and lowering costs.